There are numerous studies and surveys both in New Zealand and internationally that track volunteering rates. Some of the sources differ in how they define volunteering and who they ask, but together present a well-rounded picture of the amount and type of volunteering that takes place in New Zealand and overseas. Here are the most up-to-date studies and surveys about volunteering. 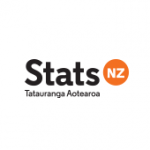 Statistics New Zealand’s Non-profit institutions satellite account: 2013 was released in 2016. It measures and analyses the contribution of non-profit institutions to New Zealand’s economy and includes an estimate of the contribution volunteers make to their activities. This release includes information about financial and non-financial information for the year ending March 2013. The NPISA supplements the existing New Zealand System of National Accounts (NZSNA). Satellite accounts are recognised internationally as a way of rearranging existing information, so an area of particular economic or social importance (eg non-profit institutions) can be analysed more closely. This report highlights findings about these activities from the General Social Survey 2016 (GSS). It provides useful information for policy makers and organisations on the demographics of the volunteer workforce, plus the number of hours volunteered and who for. It also explores the types of people who donate and who they donate to. The Department of Internal Affairs (DIA) releases quarterly statistics on volunteering and donating in New Zealand. The Quarterly Volunteering and Donating Indicators are sourced from the Nielsen Consumer and Media Insights (CMI) survey. During the September 2014 quarter, nearly 35 per cent of all respondents volunteered at least one hour of their time. This is the highest volunteering rate of the five years measured. Of those who volunteered, 59 per cent were female and 41 per cent were male. Results from the September 2014 quarter show that people between the ages of 30-39 volunteered the most. The Time Use Survey presents information on the way New Zealanders aged 12 years and over used their time. How people use their time is determined by the prevailing social and economic environment, cultural values, personal circumstances, and the expression of individual preference. Time-use statistics provide a unique perspective of people’s behaviour, standard of living, social roles, work-life balance, and social well-being, which is not readily apparent in conventional social and economic statistics. Males and females spent a similar amount of time on all paid and unpaid work activities combined (productive activities), but most male work was paid (63%) and most female work was unpaid (65%). However, among people aged 15+ not employed full time, women spent more time on productive activities than men (an extra 1 hour and 45 minutes a day), due to women doing much more unpaid work for their own households than men with the same labour force status. Older people (aged 65+) spent more time on unpaid work than people at other life stages – 4 hours and 31 minutes a day; young people (aged 12–24 years) spent the least, at 1 hour and 46 minutes. 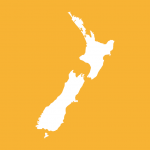 The NZGSS provides information on the well-being of New Zealanders aged 15 years and over. It covers a wide range of social and economic outcomes and shows how people are faring. In particular, the survey provides a view of how well-being outcomes are distributed across different groups within the New Zealand population. 30.6% of New Zealanders undertook some formal volunteer work (i.e. for a group or an organisation) in the four weeks previous to the survey. 31.7% of females undertook volunteering compared to 29.5% of males. People currently employed reported volunteering at around the same rate as the total population (30.7%), while 34.7% of unemployed people and 29.9% of those not in the labour force undertook volunteer work. People with higher levels of education, household income, and personal income were more likely to have undertaken volunteering work. People aged 65-74 reported undertaking volunteering work the most (37.7%) followed by people aged 45-54 (34.4%). People in the 25-34 age group reported the lowest rate of volunteering (24.8%). When measured by life-stage, the proportion of people volunteering increased from 28.8% of young adults volunteering to 35% of older people. The census takes a snapshot of the people who live in New Zealand and their activities within our communities, including volunteering. 2013 census data shows 13.9% of New Zealanders engaging in volunteering as an unpaid activity, helping or partaking in voluntary work for or through any organisation, group or marae. Census of Population and Dwellings (Statistics NZ): The unpaid work question in the census asks whether people have done work for a voluntary organisation in the past four weeks. Household Labour Force Survey volunteering supplement (TBC, Statistics NZ): looking to include a ‘periodic topic’ supplement on volunteering, in response to encouragement by the United Nations and the International Labour Organization (ILO) to develop internationally comparable measurements of volunteer work. Household Economic Survey (Statistics NZ): data on household spending on cultural activities. The Electoral Commission collects data on voter turnout for national and local elections. The Ministry of Justice has statistics on jury service, including the numbers of jurors who turn up to court, those who apply for an exemption or a deferral, those who are granted one, and similar statistics on re-summonses. 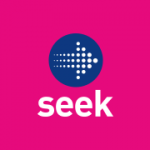 SEEK Volunteer research shows that volunteering is seen as credible work experience in the eyes of New Zealand employers. For New Zealand students, volunteering constitutes real-work experience; it not only allows them to give back to their community, but also makes them standout when applying for jobs. 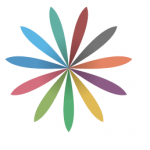 The World Giving Index is the only global study designed to provide evidence-based insight into the scope and nature of giving around the world. 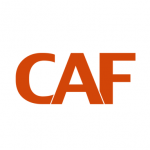 It is compiled by the Charities Aid Foundation, using data gathered by Gallup, and ranks 153 countries in the World according to how charitable their populations are. The 2013 World Giving Index ranked New Zealand 2nd equal with Canada and Myanmar for giving and ranked 8th equal (with Myanmar) for volunteering our time. Giving has bucked a trend, growing in 2012: The average percentage of people donating money, volunteering time, and helping a stranger globally all grew in 2012 in relation to 2011, despite a continued fall in the rate of growth of the global economy from 4.0% to 3.2%. Global youth are driving the rise in volunteering: Since 2011, the biggest increase in participation in volunteering has occurred among 15-24 year olds (from 18.4% in 2011 to 20.6% in 2012). This age group has gone from being the least likely to volunteer in 2008 to the second most likely to volunteer in 2012. Levels of giving remain below those recorded five years ago: Although there was an increase between 2011 and 2012 for each type of giving, the global level of engagement remains below the highest on record. Men remain more likely to volunteer time than women: The difference in the average percentage of women and men giving was precisely the same in 2012 as it was in 2008 – 2.7 percentage points. People aged 35-49 remain the most likely in the world to volunteer: A key finding this year however is that the youngest age group – 15-24 year olds – are now almost as likely to do so. Unfortunately, the 15-24 age group is the only one in the world where a higher proportion of people now volunteer than was the case five years ago. All other age groups are now less likely to volunteer than in 2008, with all falling by approximately two percentage points. The World Giving Index is the only global study designed to provide evidence-based insight into the scope and nature of giving around the world. It is compiled by the Charities Aid Foundation, using data gathered by Gallup, and ranks 140 countries in the World according to how charitable their populations are. In most countries surveyed 1,000 questionnaires are completed by a representative sample of individuals living in urban centres. In some large countries such as China and Russia samples of at least 2,000 were collected, while in a small number of countries, where polling is difficult, the poll covered 500 to 1,000 people but still featured a representative sample. New Zealand is placed second in a list of the most charitable countries around the globe, with the United States taking the top spot. The report from the Charities Aid Foundation showed that individual New Zealanders giving to charity made up 0.79 per cent of the country’s gross domestic product (GDP). Respondents were over 15 years old when surveyed and samples were probability-based. Surveys were carried out by telephone or face-to-face depending on the country’s telephone coverage. Your Better Life Index is designed to let you visualise and compare some of the key factors –like education, housing, environment, and so on – that contribute to well-being in OECD countries. It’s an interactive tool that allows you to see how countries perform according to the importance you give to each of 11 topics that make for a better life. Since it was founded in 1961, the OECD has helped governments design policies to improve their citizen’s well-being and how it is measured. Based on this experience, these 11 topics reflect what the OECD has identified as essential to well-being in terms of material living conditions (housing, income, jobs) and quality of life (community, education, environment, governance, health, life satisfaction, safety and work-life balance). Each topic is built on one to four specific indicators: For example, the Jobs topic is based on four separate measures: the employment rate, personal earnings, the long-term unemployment rate and job security. For each indicator you can also compare results for men and women, and see how much your social and economic status affects results. The data mostly come from official sources such as the OECD or National Accounts, United Nations Statistics, National Statistics Offices. A couple of indicators are based on data from the Gallup World Poll a division of the Gallup Organization that regularly conducts public opinion polls in more than 140 countries around the world. More than 80% of the indicators inYour Better Life Index have been already published by the OECD. The most up to date report on Community can be found here. On average, people across selected OECD countries, spend 4 minutes per day in volunteer activities. People in New-Zealand, Ireland and the United States spend more than twice that time volunteering. In several countries, however, people spend hardly any time volunteering. This is the case in Hungary, Korea, Poland, Slovenia, France, Estonia, Spain and Mexico. On average, people in New Zealand spend 13 minutes per day in volunteering activities, the highest in the OECD where the average is 4 minutes per day. Around 69% reported having helped a stranger in the last month, one of the highest scores in the OECD where the average is of 49%.